Ahead of the postal plebiscite for marriage equality major publishers such as Vice, Broadsheet, Pedestrian TV, Junkee and FBi Radio have joined forces to encourage young Australians to enrol or check their voting enrolment details. 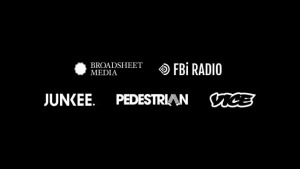 Between 5-8pm today, Vice and FBi Radio will blackout their sites, blocking access to their content and running a simple message urging readers to spend their time registering and/or checking their voting details instead of with their content. Pedestrian and Junkee readers who click through to the sites will be met with blacked out ad units and full-screen, over-the-top placements directing them to the Australian Electoral Commission (AEC). All content uploaded during the three hour period will relate to LGBTQIA issues. Broadsheet will run a takeover across its five city websites directing readers to the AEC before all pages. The Vice blackout will not include its overseas channels, blocking its Australian page and content only. The five media outlets will also dedicate their social platforms, which have a combined reach of more than a million, to the cause. 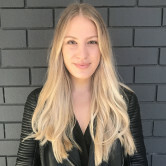 Vice Australia features editor Maddison Connaughton says the goal of the blackout is to get every young person in Australia signed up to vote. "This is the first time Australia's youth publishers have all banded together for the one issue," she says. "We think this marriage equality vote is that important. We know the vote has been purposefully designed to disenfranchise young people. "There are hundreds of thousands of people under 30 who aren't enrolled to vote, and many more who don't have a permanent address, or are travelling, or are overseas. But we don't accept that as the end of the story. These young people can make or break this marriage equality postal survey," she says. MTV Australia is also shutting up shop, ceasing all regular scheduled programming tomorrow, 24 August 2017, and replacing its TV programs with a special message encouraging people to enrol. The campaign will be supported by youth mental health organisation headspace, Perth’s RTRFM, The Ethics Centre, and Amnesty International Australia.